On our recent Instagram poll, Ryan Reynolds won a showdown with Idris Elba on the most desired style breakdown. Hollywood’s favorite superhero Ryan Reynolds is not your average movie star. The Canadian expat got his start on the hit show “Two Guys, a Girl And a Pizza Place”. His career skyrocketed when he assumed the role of Deadpool. His transition from a TV star to a movie star has also evolved his style. Below we will explore his most impressive looks. If you have any other ideas for instagram polls you’d like us to run, then get in touch with your ideas! Ryan has mastered the art of rocking a three-piece suit. He is rarely seen on the red carpet without a waistcoat. When he is not wearing 1950’s inspired suits, he dons a more modern form-fitting cut that allows him to look leaner and less boxy. In his downtime, Ryan opts for a more layered smart look. He would wear cardigans over an open shirt, to add an element of cool he would complete the outfit with a denim jacket. 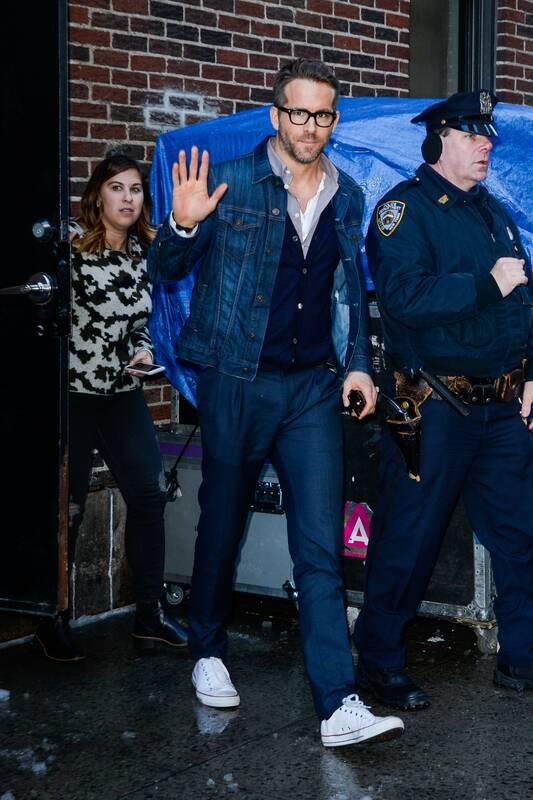 Ryan Reynolds is a big fan of chukka and boat boots. He likes brands that help him to achieve a laid-back and chill look. When he is not rocking either you will find him in a fresh pair of converse trainers. When Ryan is not making movies, he is running errands in the city in style. He will pair sneakers with jeans and a slim fitted shirt. This outfit is perfect to run around and get stuff done. A few things to keep in mind about Ryan Reynolds style. He loves blue and is a fan of a vest. His wardrobe choices are mainly T-shirt, cardigans, and jackets. His hair is always groomed and his beard is rough but maintained. Overall his looks are elevated casual, perfect for an informal lunch meeting. Want to recreate Ryan’s vest style? Check out our piece on vests to get some great ideas. For more details on how to grow a great beard, check out 15 Ways to Grow a Beard here.